I grew up adoring rice pudding, but not especially or necessarily the homemade kind. I was ecstatic at just the site of a little blue and yellow Ambrosia rice pudding pot. Wrong, I now know. This version, you’ll be pleased to know, is not inspired by those but instead came about after I tasted the best rice pudding of my life; made by a patisserie chef at my sister's old place of work, The Quality Chophouse, and pretty much equal parts cream and sugar, whisked to silk with eggs and completed with fresh vanilla seeds. This variation is, of course, adapted to the distinctive characteristics of my Well Being nutritional principles; free from gluten, dairy and refined sugar, and made with pure and unprocessed ingredients in their most natural forms possible. This pudding is super rich and creamy, and the warming vanilla lends not only an unbeatable flavour but an aroma like no other; sweet, comforting and calming in some way. 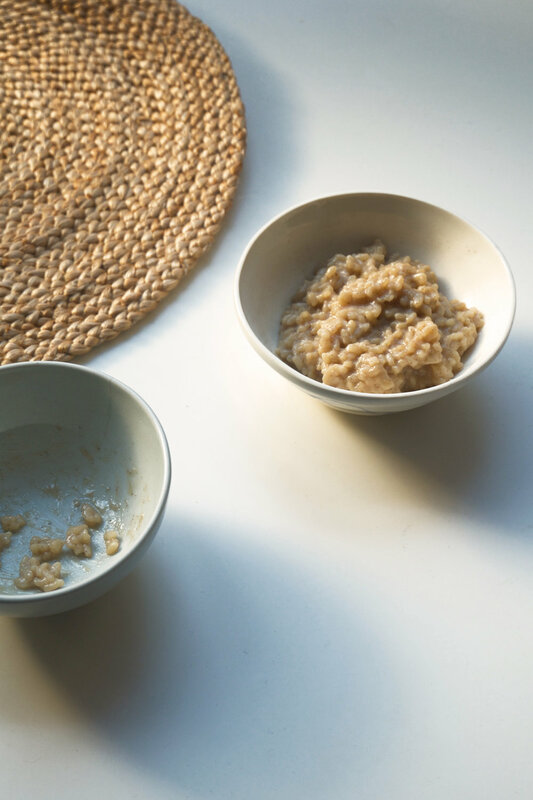 I often make this for guests, and then enjoy any leftovers in the morning, either chilled or heated up to breed porridge’s more indulgent cousin. I suggest you do the same. 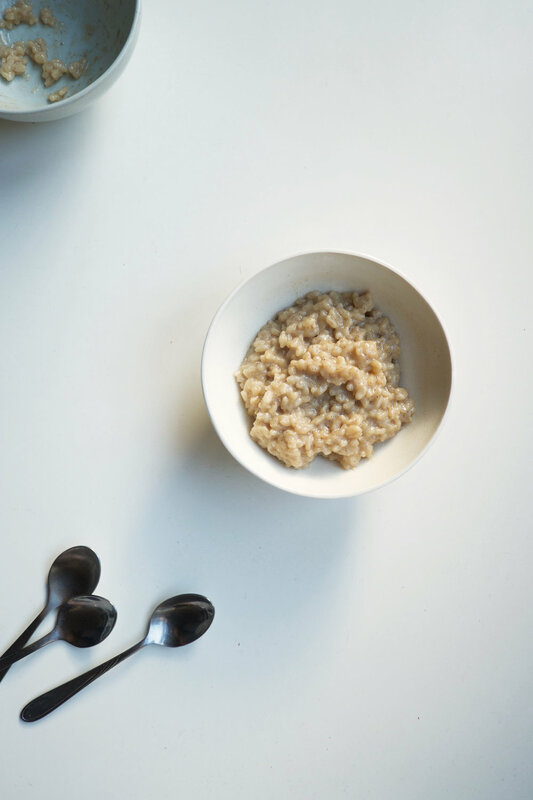 To start, measure the pudding rice or other rice or grains of choice into a medium saucepan and cover with your plant-based milk of choice, the tinned coconut milk, salt, vanilla pod seeds (adding the whole stick to stew), vanilla extract, coconut sugar, cinnamon, maca or lucuma (if using) and oil of your choice. Bring to the boil over a medium to high heat for 5-10 minutes, and then reduce to a simmer for 10-20 minutes. Cooking time will depend on the kind of rice or grain you use. If the mixture becomes too dry before the rice is fully cooked through, add a splash or water. When you are happy with the consistency, stir in any of the remaining optional ingredients. I like stirring in raw chocolate chunks for a slightly chocolate variation, but you could also try 1-2 tablespoons cacao powder. Top with any extra toppings of your choice. I love to heat fresh fruits (usually berries or citrus fruits) in a saucepan with a little lemon juice to stew them, and then pour them on top of the rice pudding. You could also serve with fresh fruit, nuts, seeds, a jam, syrup or homemade sauce (like cacao chocolate sauce or date caramel). I love making this chocolate spread and thinning it with a little boiling water to pour on top.